It’s a term that everyone who knows even just a small bit about wine has heard at least once before: “corked”. Since most people have only heard “corked” used as a negative descriptor, it certainly isn’t a word that brings to mind positive connotations. The extent of what most people know about wine that is said to be corked, however, is that it just isn’t going to taste very good. As far as the “why” and “how,” confusion tends to reign supreme. Corked wine won’t make you sick, but it sure does taste bad. Here’s a primer on the subject for those who are looking to broaden their knowledge on what really happens when a wine becomes corked. 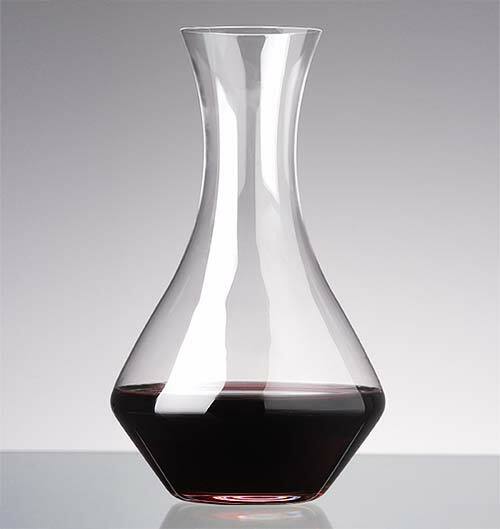 By definition, a wine that is said to be “corked” is one which has suffered cork taint contamination. 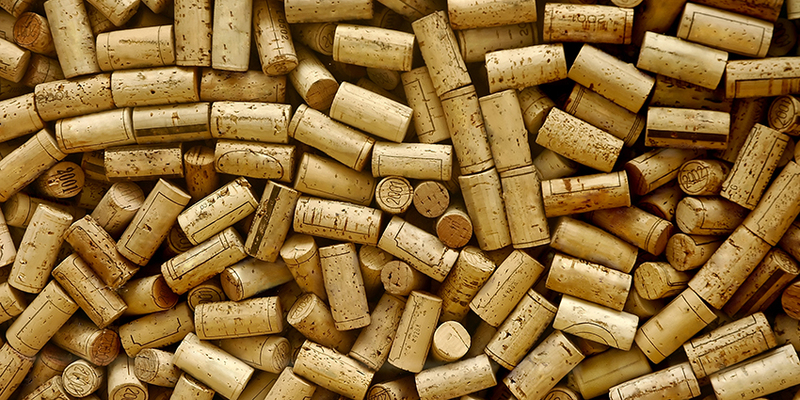 Cork, being a natural substance, is susceptible to being eaten by tiny microorganisms that feed on the material either before or after it is destined for a bottle of wine. A very small portion of cork may end up coming in contact with airborne fungi that creates a chemical substance called TCA. 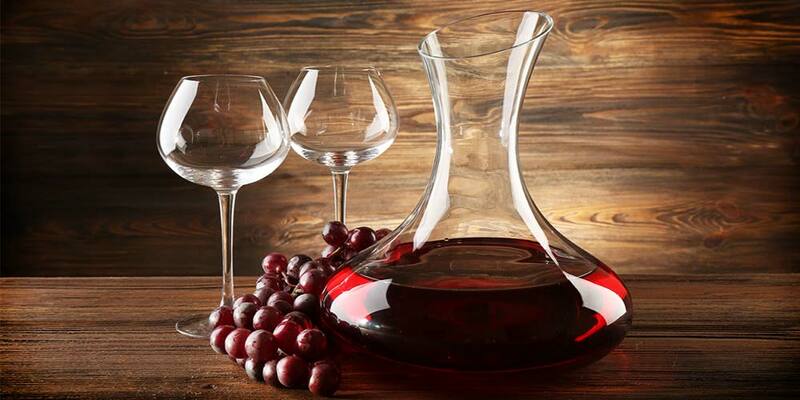 If TCA is able to come into contact with the wine itself, it will do a great deal of damage and render the wine “off” and even undrinkable in some circumstances. Unsurprisingly, there’s a fair amount of misinformation floating around about what characterizes corked wine and how the problem occurs. Many people think that visual inspection alone is enough to tell whether or not a wine is corked, which is actually never true. Bits and pieces of cork floating around a wine may not be ideal, but they aren’t an indication that the wine has spoiled in any way. If the cork is coated in white crystals, this just means that there’s a large presence of harmless tartrates, which are a natural byproduct of many types of wine. Smelling the cork isn’t going to give you any information you don’t already have either, as this is not a way to decipher whether or not a wine has spoiled. 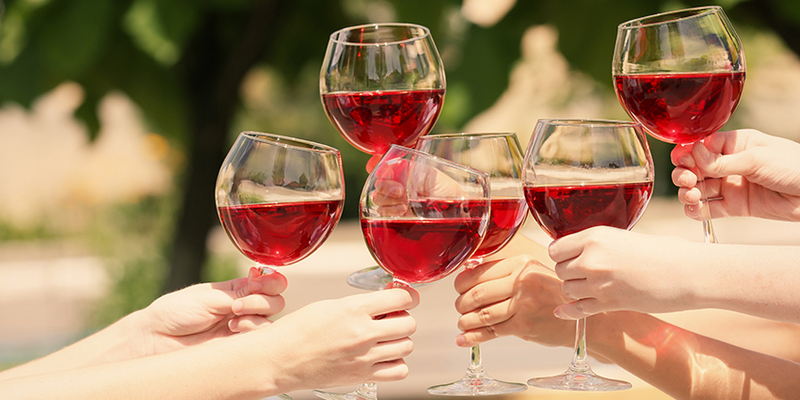 Finally, does your wine feature either a screw cap or synthetic cork? If so, any notion that the bottle may be corked is simply in your head, as the presence of natural cork is necessary for TCA development to occur. No bottle of wine is going to list whether or not it’s corked on the label, and visual inspections aren’t enough to lend any useful information in terms of spoilage. How do you know, then, whether or not you’re dealing with a corked wine? It all comes down to taste and smell. Admittedly, it’s easier for someone who has a good handle on the characteristics of certain grapes to tell whether or not a bottle has spoiled, but even novices tend to be able to spot a corked wine when sampled next to wine that isn’t corked. The first signpost to use as a guide will be the wine’s aroma. Corked wine typically gives off a smell that isn’t dissimilar to a wet, soggy newspaper that has been sitting out on the porch during a rainstorm. Many people even use “wet dog” as a descriptor for corked wines that have gotten particularly funky. “Rotten cardboard” is an apt descriptor as well, and clearly, none of these characteristics are what most people would actually look for in a bottle of wine. Things can get even worse once it comes time to taste the wine. In most cases, corked wine will be extremely dull and lifeless, with almost no character to itself whatsoever. If you’ve ever tasted an extremely fruity Merlot next to a bottle of the same wine that is corked, you’ll find that the fruit all but completely disappears in the corked bottle. In some cases, corked wine may also be astringent and downright difficult to drink. If you’ve got a bottle of corked wine on your hands, the first feelings you’re likely to experience are those of disappointment. 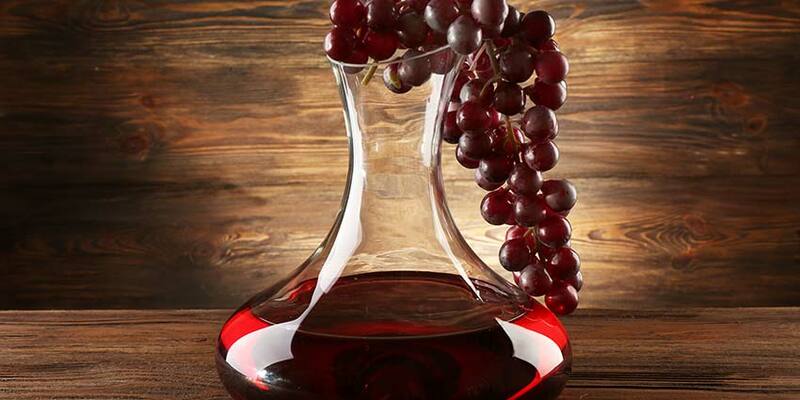 There are a handful of folk remedies for taking TCA out of corked wine (such as soaking the wine with plastic wrap for 15 minutes and decanting to a new container), but your best bet if possible will be to return the wine to the shop you bought it from. Any respectable wine shop will refund customers for corked wine, but if you decide to actually drink the wine, know that you have nothing to be concerned about healthwise — it’s just not going to taste very good. What if you encounter a corked bottle in a restaurant? 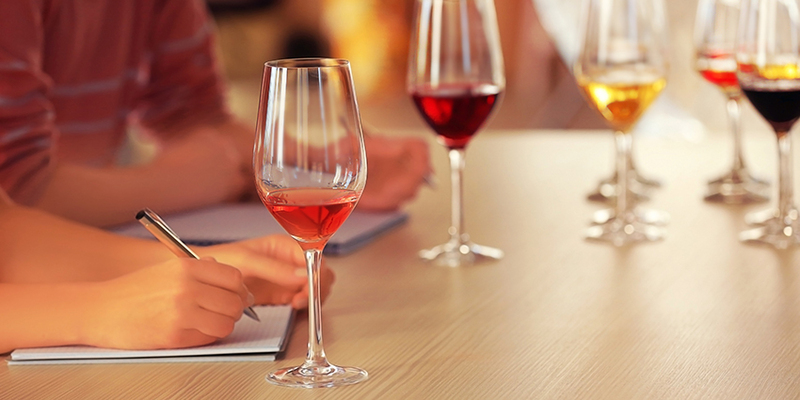 The sommelier or server will typically pour a small sample of the bottle to taste before pouring glasses, and this is your chance to determine whether or not the wine is worth drinking. If you encounter anything questionable, be sure to make it known before committing to the bottle. It takes just one bottle of corked wine to put someone on guard the next time they head out to buy another bottle. The fact is, however, most people don’t actually encounter corked wine as much as they may think. Today, more and more wineries are using screw cap enclosures or synthetic corks when bottling product, both of which prevent the chances of a wine becoming corked with a 100% success rate. Even still, the amount of natural corks that have suffered TCA contamination is estimated to be only 5% of those on the market. You may encounter a corked bottle out of every 20 bottles you buy, but even this is likely an over-exaggeration. Many people go through an entire lifetime of purchasing wines and never encounter a corked bottle — it’s far more rare than most people realize. So don’t let corked wine ruin your evening. Know what to look for and how to avoid it, and the threat of a bad experience will become a non-issue.